Late October in Maryland. Last updated: 10/30/2009. Above: They have returned. 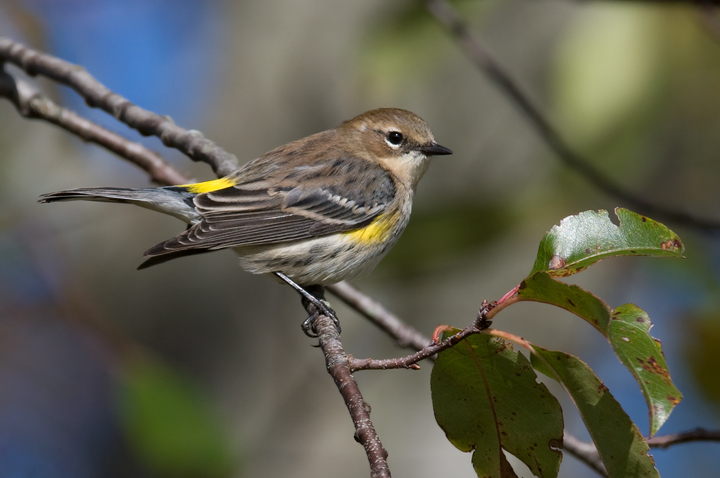 A Myrtle Warbler in Somerset Co., Maryland (10/25/2009). 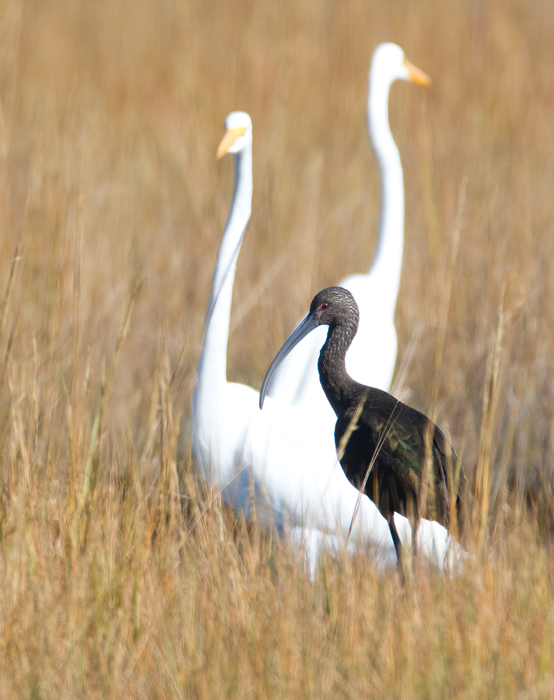 Below: A White-faced Ibis on Assateague Island, Maryland (10/11/2009). Found by Hans Holbrook, this is one of the first October sightings for the East Coast. It is the first fall record for Maryland (the first outside of April/May) and the first record for Assateague Island. 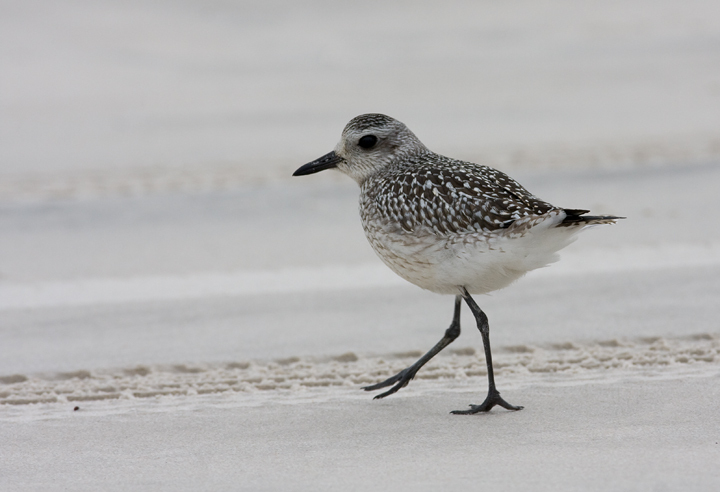 Below: A Black-bellied Plover on Assateague Island, Maryland (10/12/2009). 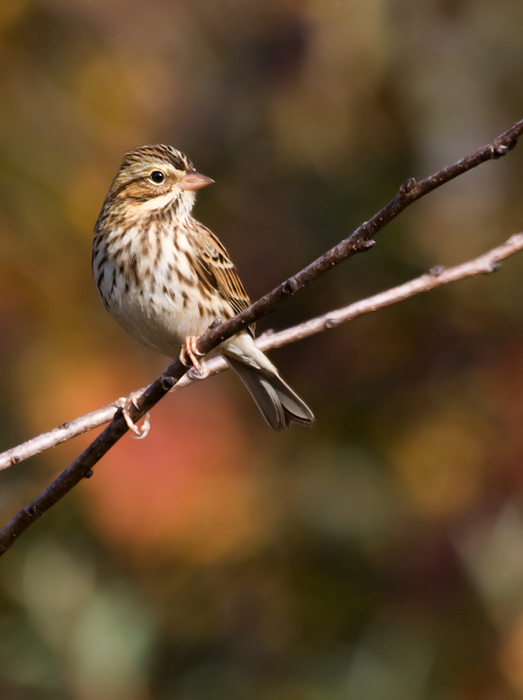 Below: A Savannah Sparrow in Somerset Co., Maryland (10/25/2009). Below: A California Gull candidate at Salisbury, Wicomico Co., Maryland (10/24/2009). It was taken from well over 100 yards away, hand-held at 600mm with a 1.4 teleconverter, in the rain, against an overcast sky. Note the bird's dark mantle, dark primaries, dark secondary bars, and nearly non-existent window in the flight feathers. 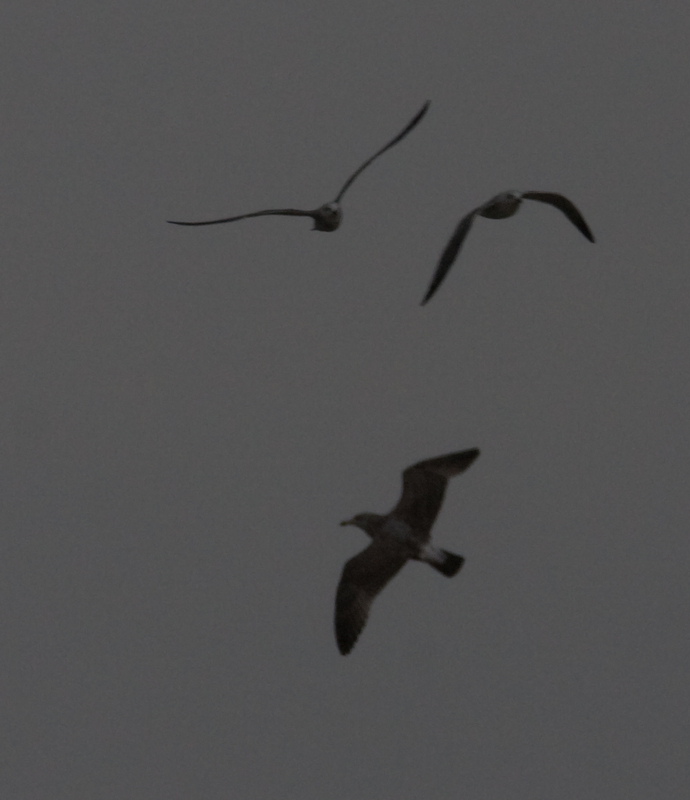 It appears long-winged and long-billed. The upper tail is clean, bright white, and in the field stood out even more brightly, especially during our first view before the rain picked up. The black tail band is wide and complete. These field marks would seem to support a California Gull molting into its second-winter plumage. Others have expressed concern over structure, feeling that it is more in line with Herring Gull. The photo was not edited except to crop it and remove a couple water droplets from the background. Click to view the full-size image. 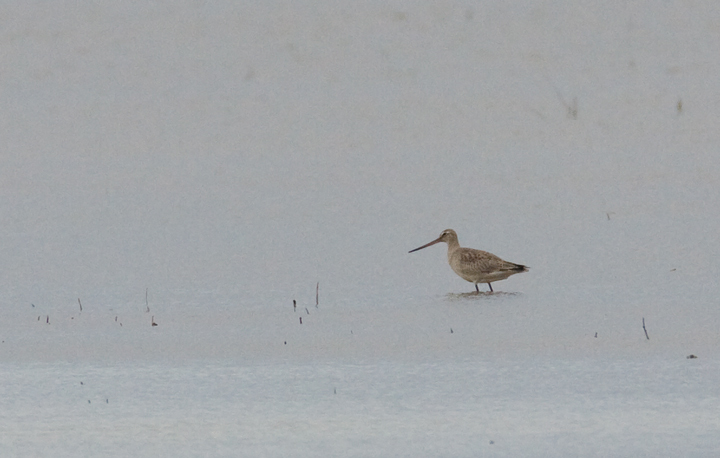 Below: One of two Hudsonian Godwits that spent late October at Blackwater NWR, Maryland (10/24/2009). 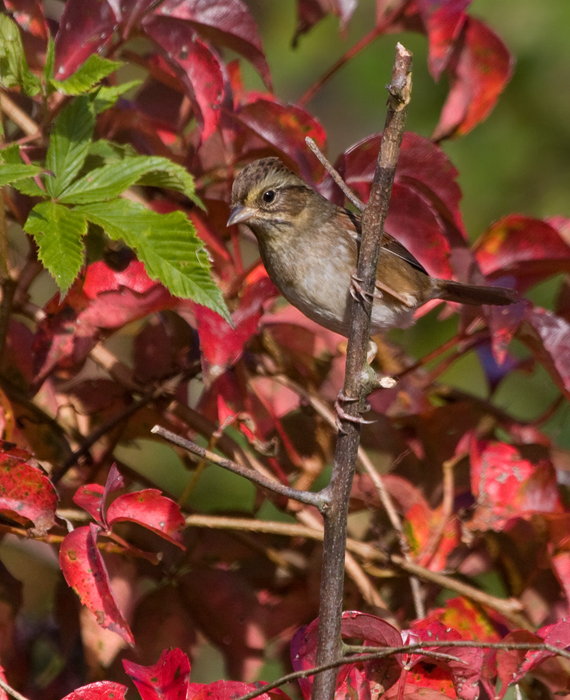 Below: A Swamp Sparrow at Pocomoke Sound WMA in Somerset Co., Maryland (10/25/2009). 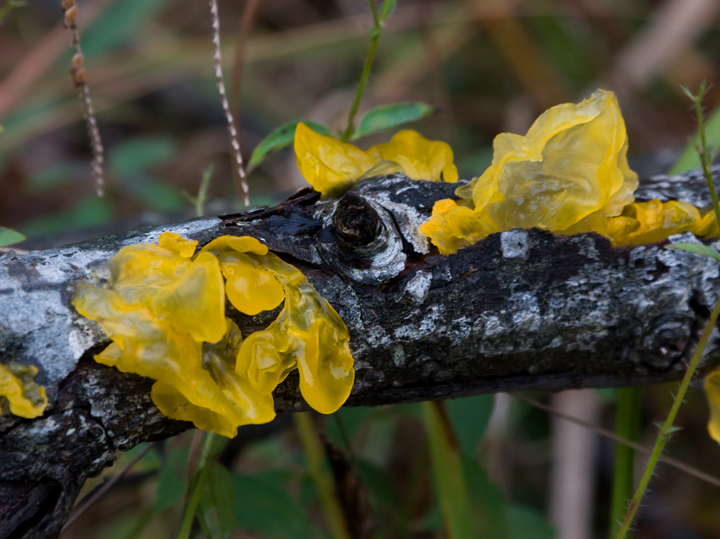 Below: Witch's Butter (Tremella mesenterica), an attractive and fascinating fungus. Photographed in southern Anne Arundel Co., Maryland (10/18/2009). 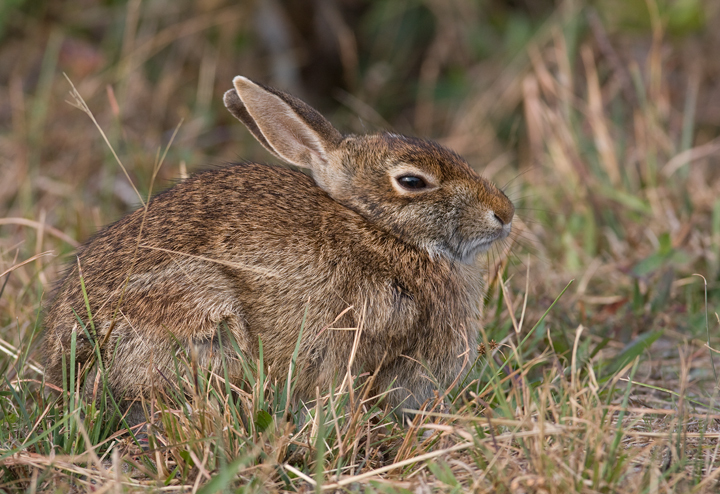 Below: An Eastern Cottontail on Assateague Island, Maryland (10/12/2009). 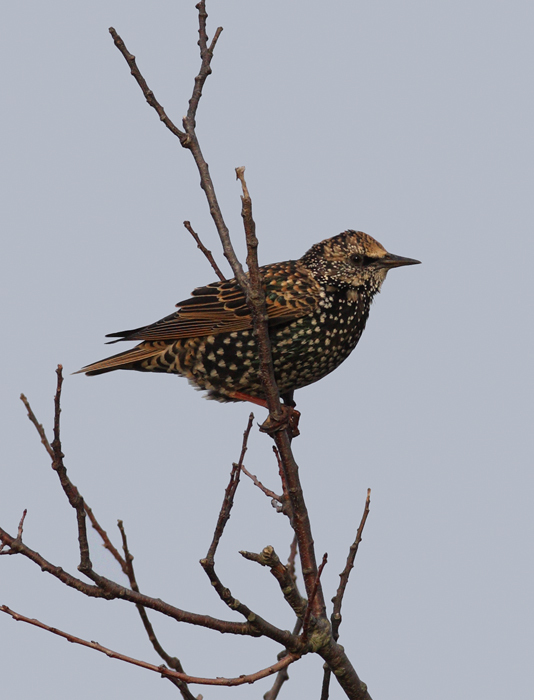 Below: A European Starling at Bayside on Assateague Island, Maryland (10/12/2009). 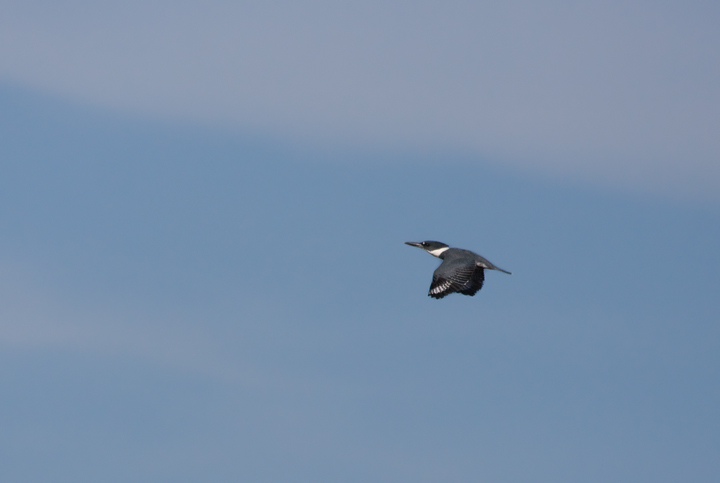 Below: A Belted Kingfisher in flight over Worcester Co., Maryland (10/12/2009). Below: Dawn at Rumbly Point in southern Somerset Co., Maryland (10/25/2009). Our highlights on this morning were three Nelson's Sparrows. 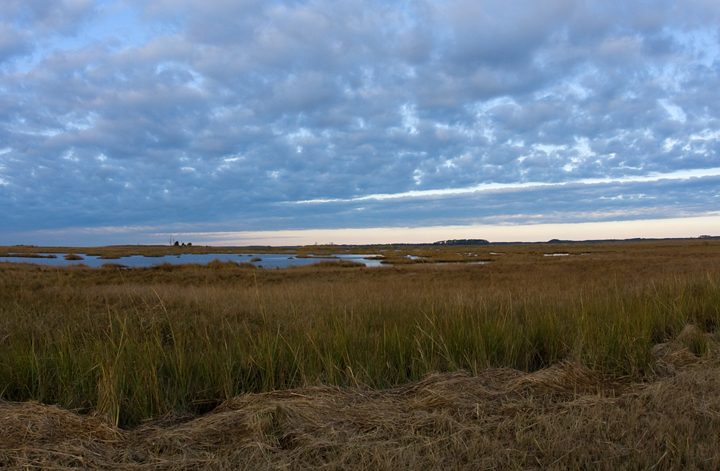 This habitat held three or more Yellow Rails in late April.